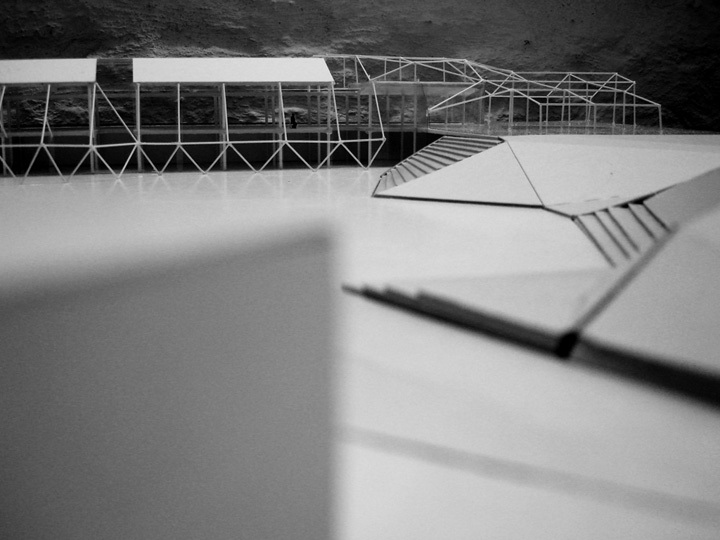 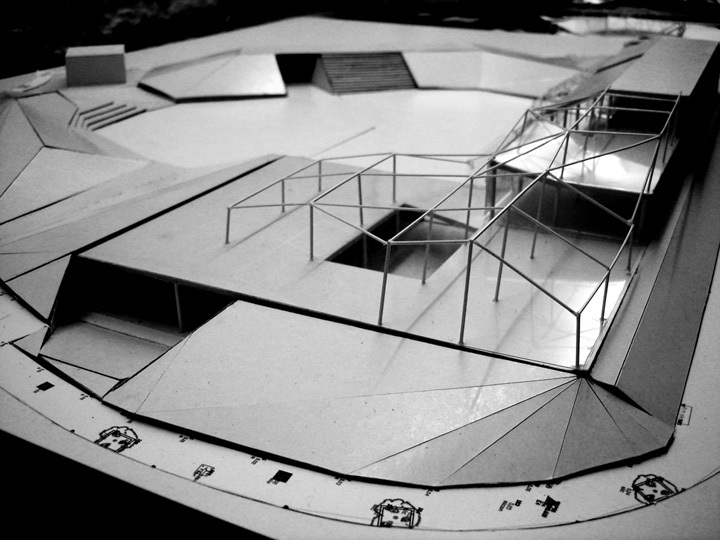 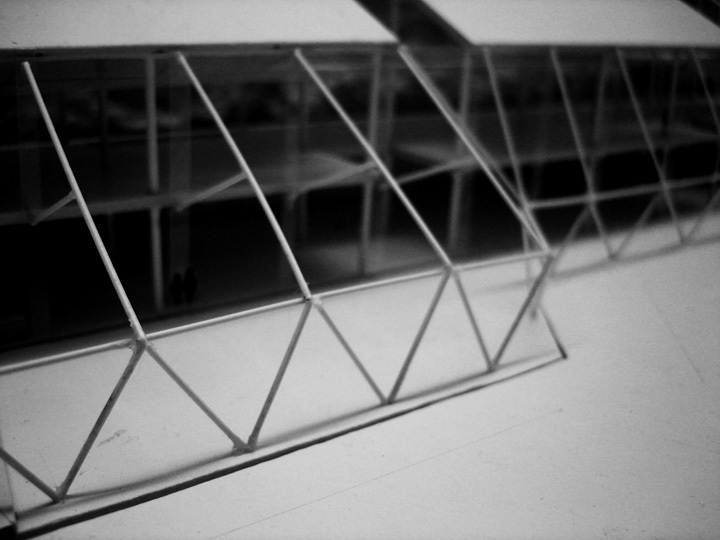 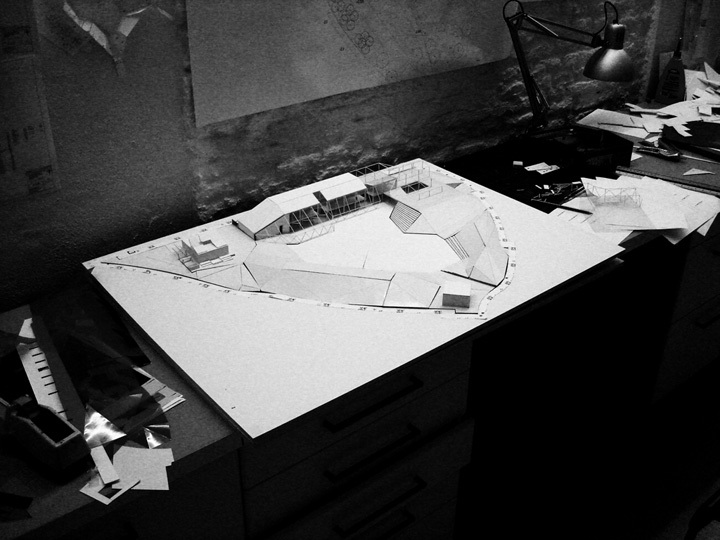 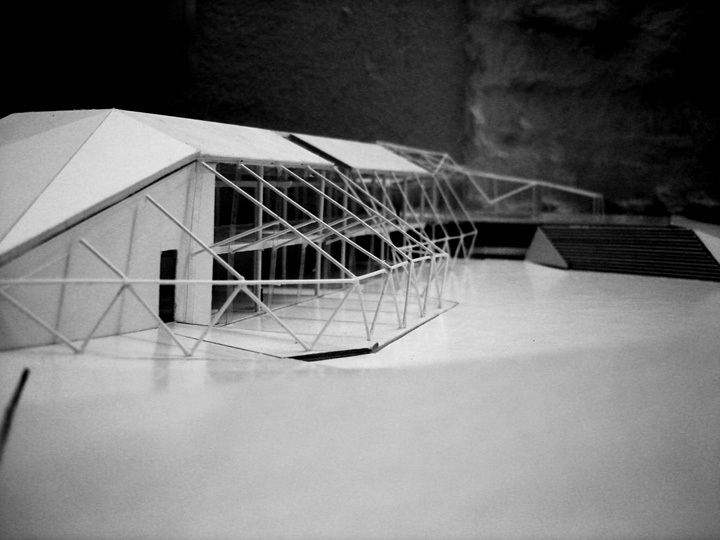 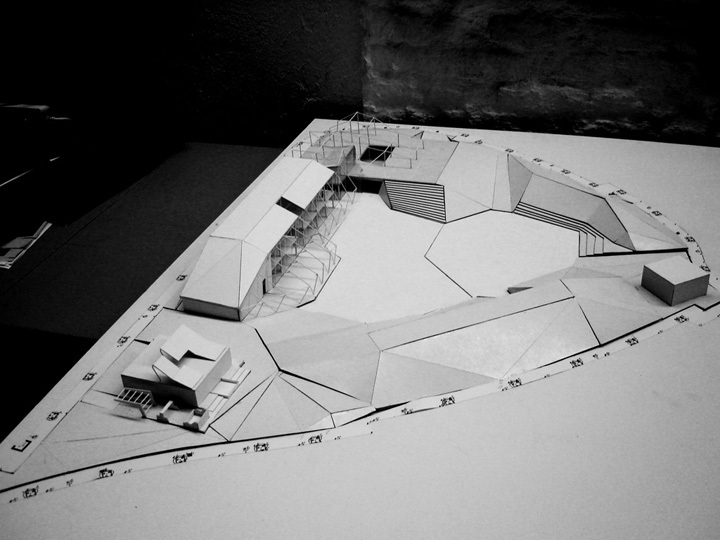 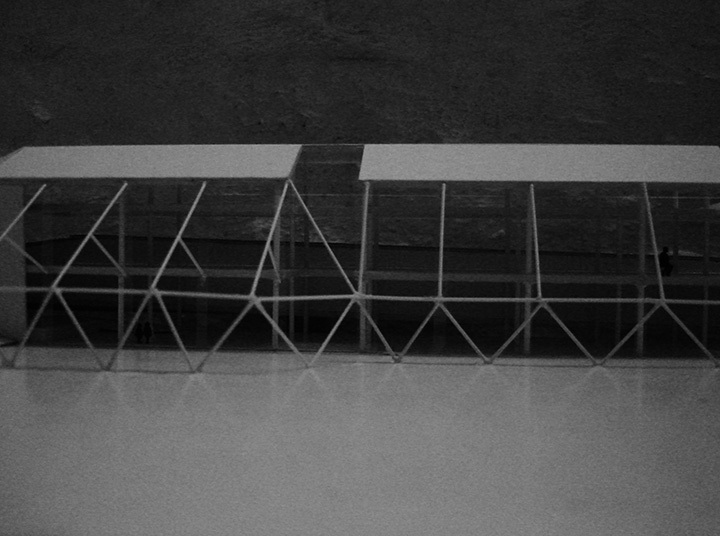 Model design for Ecosistema Urbano architects office for their last project: Plaza Ecopolis. 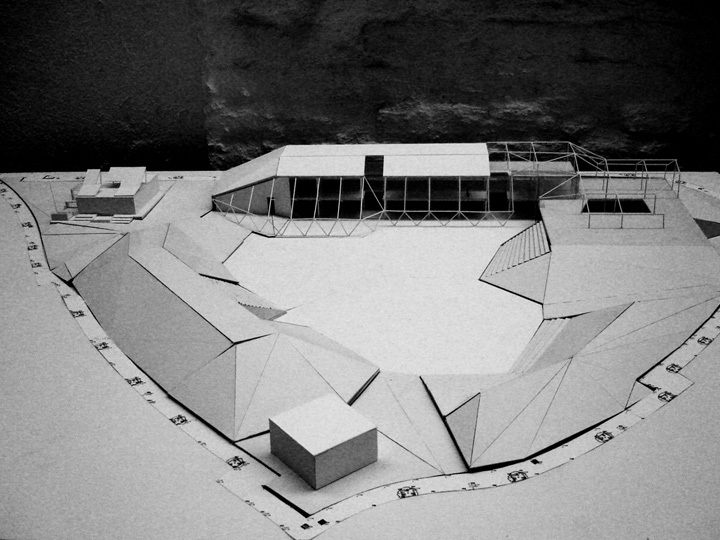 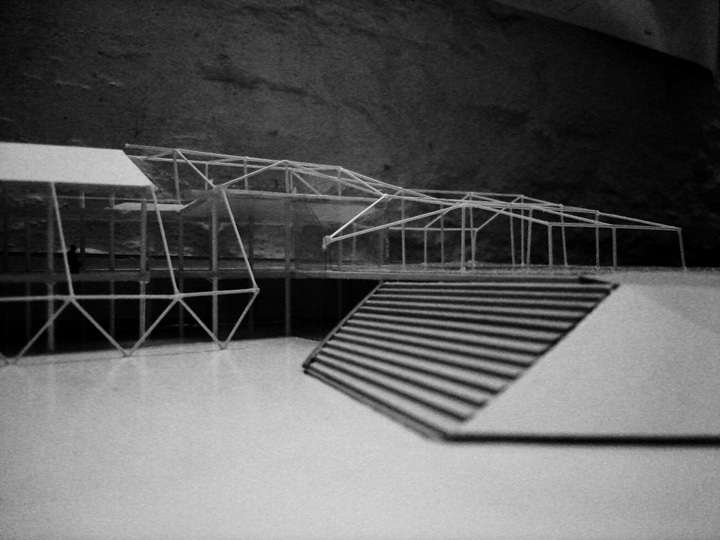 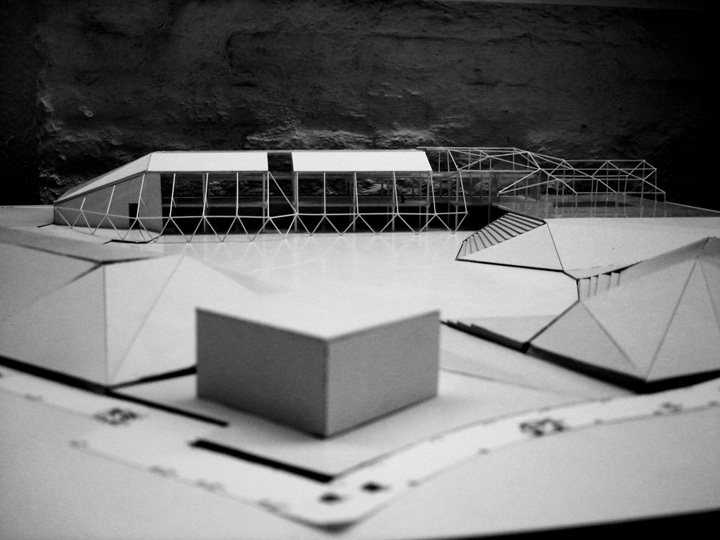 This working model was use during the building's development phase as part of a mayor project that aimed to regenerate a plot on the outskirts of Madrid, a place surrounded by transport infrastructure and adjacent to an industrial estate into a public space for social interaction. 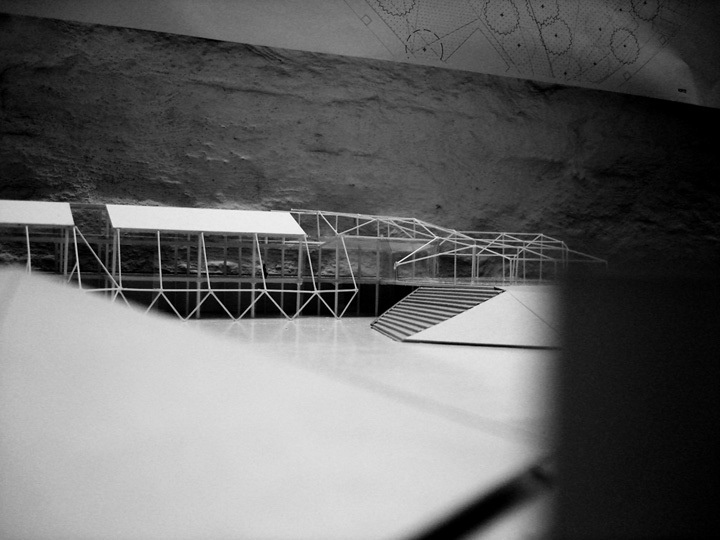 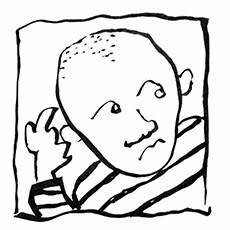 I met Jose Luis Vallejo in ETSAM architecture School where I was studying at the time and he was teaching there. 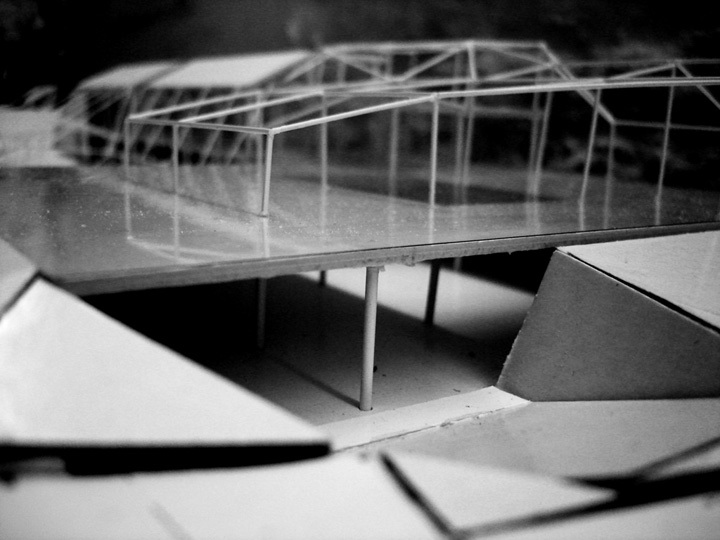 When the semester ended he offered me a one month internship in his office developing this model that later became a real building. 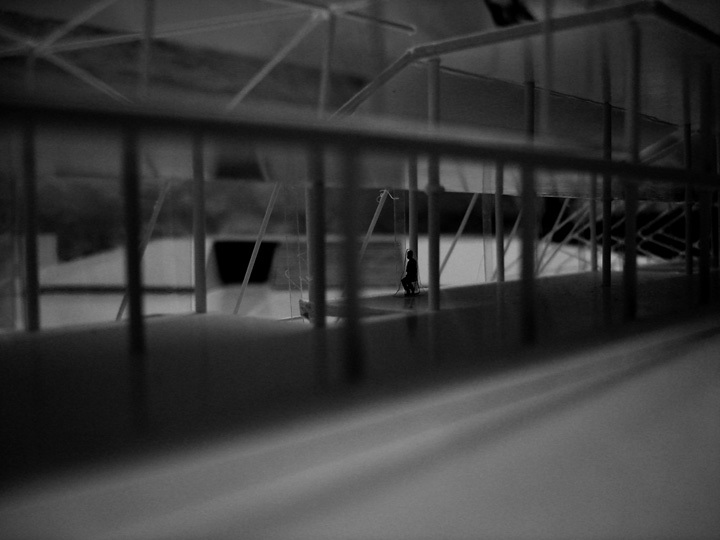 I made those photographs of the model before I leave.